Cathryn Ewers is a dedicated and experienced full-time Realtor. She graduated from Western Michigan University with a degree in Fashion Merchandising and later attended the University of Cincinnati where she earned her Real Estate degree. She started her career in Cincinnati, Ohio over 12 years ago with Sibcy Cline Realtors. Upon relocating to Michigan in 2013, she began working for Good Earth Real Estate. Cathryn says the best part about being a Realtor is the fact that no 2 days are alike! She truly enjoys meeting new people, helping sellers stage their homes, creatively marketing her listings, assisting buyers in finding their dream homes, and negotiating contracts. Cathryn prides herself on being an excellent communicator, her attention to detail, and working well with others. Born and raised in Bloomfield Hills, Cathryn has successfully assisted Clients with Real Estate transactions in many area of the state including: Jackson, Albion, Parma, Macomb Township, Macomb, Oxford, Troy, Birmingham, Farmington Hills, and Howell. Cathryn and her husband Steve, who is a Captain with Delta Airlines, live on 70 acres in Jackson County with their 2 Labrador Retrievers. They share 5 grown children and a granddaughter. 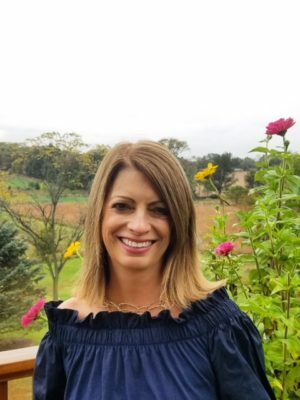 Cathryn’s interests include: cooking, skiing, boating, travel, hosting parties, organic gardening, going to concerts, spending time with friends, and water aerobics. Cathryn’s favorite things about living in Jackson County are the beautiful lakes, the friendly people, and the glorious change of seasons. Cathryn’s philosophy has always been to EARN the trust and confidence of her buyers and sellers. You can expect her to work hard, and consistently have a professional, positive attitude. She will do what she says she will do, sometimes more, but never less.